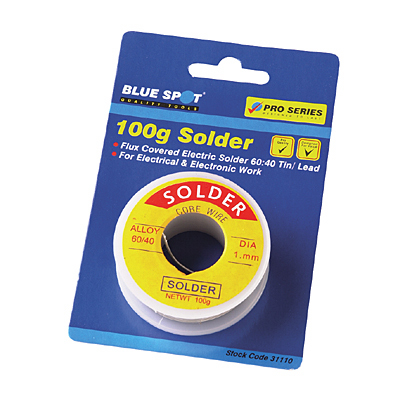 A superb reel of 100g solder from Blue Spot Tools. Solder diameter is 1mm. Flux covered electric solder. 60:40 Tin/Lead. For electrical and electronic work. 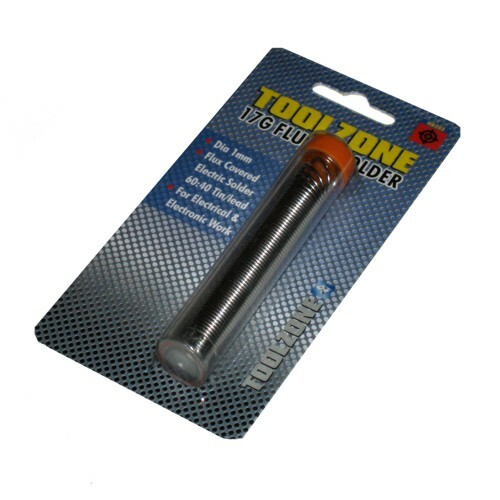 An excellent solder at an affordable price from Blue Spot Tools.